Despite the fine weather we had (up to the past few days) we have had plenty of people taking the time to go online and enter our Fathers Day Competition which we ran in association with Django’s Hostel in Cloughjordan, Co Tipperary. 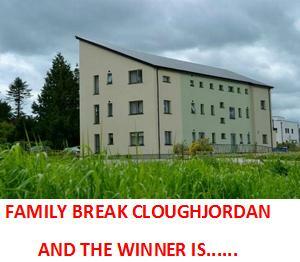 Django’s kindly offered the prize of a two night break at their facility based in Ireland’s only Ecovillage. Poetic style entries have featured quite strongly in Purchase.ie competitions over the past couple of years but its been its been quite a while since they have won a prize. On this occasion however we decided that we had to go with Robert Marks entry as the winner of the 2 Night Family Break at Django’s! Thanks once again to all of you that took the time to enter the competition. Keep an eye on our Facebook Page for details of the next competition. Be nice to Dad this weekend!